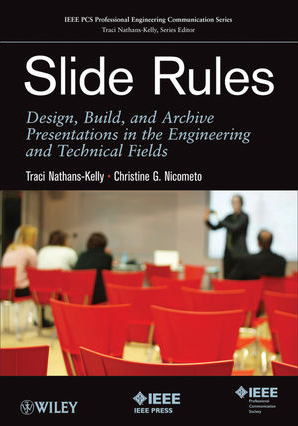 My wonderful colleague, Christine Nicometo, and I have finished the manuscript for our book Slide Rules: Design, Build and Archive Presentations in the Engineering and Technical Fields. Whew! Now, we wait for industry and academic reviews before going to press. But the major push is over!